Teratai Mewah Apartment Block 4 & 6 is located in a strategic position that is surrounded by schools, markets, banks, petrol stations and relaxation centres. 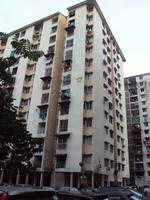 The schools surrounding this building include SMJK Chong Hwa, SRJK Mun Yee and SK Danau Kota 2. 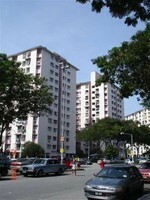 SMKJ Chong Hwa is the closest school to this apartment. This area is also accessible by public transport. Stations within the vicinity of this development include Segambut KTM Station, Putra KTM Station, Batu Caves KTM Station, Sentul KTM Station and Kampung Batu KTM Station. Diamond Square Commercial Centre, a commercial hub, is also in the vicinity of this development. 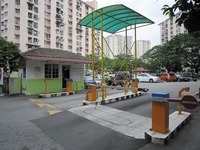 Diamond Square Commercial Centre is accessible by connecting roads which include Jalan Chong Hwa and Jalan Gombak. Tuan rumah dialu alukan untuk menghubungi.